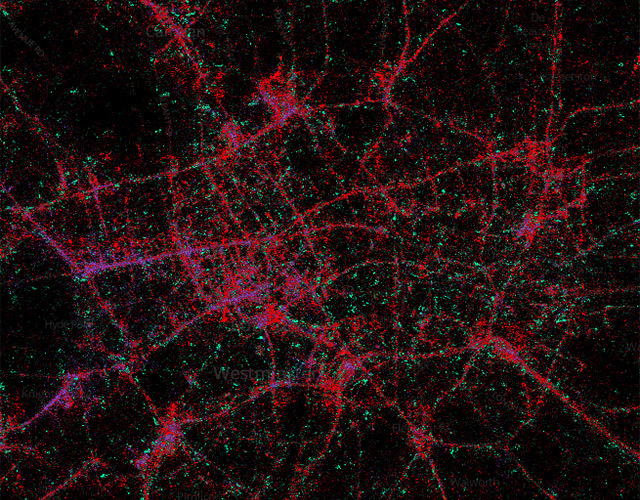 The maps above show London's Twitter traffic from smartphones. Red denotes iPhone; green Android; light purple Blackberry; and the darker purple other devices. Click here for an interactive version. 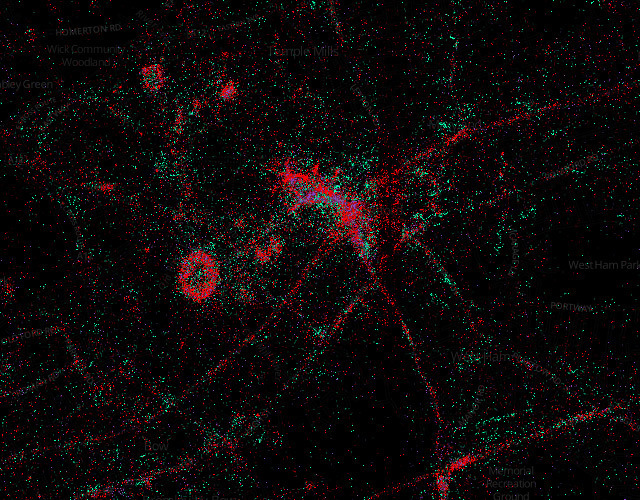 While not comprehensive (despite the attention it commands, Twitter isn't ubiquitous) the map does offer a broad indication of which smartphones are used, and where, across the capital. iPhone seems to dominate, particularly in the centre and the West End, but in the less wealthy parts of the capital there is a lot of Android usage. The data was captured in 2012 and so there's a huge cluster of activity in and around the Olympic Park. It's also interesting to note how Blackberry seems to follow the lines of London's main roads; business folk in the backs of taxis, perhaps? Explore the full version on Mapbox.